Samsung Pay in action. Photo by TheBetterDay on Flickr. Google and Microsoft have agreed to end their long-running patent feud over smartphones and video game systems, dropping about 20 lawsuits in the U.S. and Germany. The companies pledged in a statement to work together in other ways related to intellectual property, including development of a royalty-free, video-compression technology to speed downloads, in an initiative that also involves Amazon.com Inc. and Netflix Inc. They will also lobby for specific rules on a unified patent system throughout Europe. So all the patent wars of the past five years are pretty much done – aside from Samsung-Apple, which is limited now to the US but still putters along. Exactly this situation occurs in social networks, and not just for numbers of friends. On average, your coauthors will be cited more often than you, and the people you follow on Twitter will post more frequently than you, and so on. Basically, it can mean that minority views espoused by those with many followers can be accepted easily as “widely true”. Which of course it isn’t. Sure you can think of many examples. For people with photosensitive epilepsy, frequently flashing or flickering images could trigger or increase the risk of a seizure, while automatic advertising can be distressing for those with learning disabilities because it hinders concentration and therefore comprehension of the content they are trying to consume. Shall we call them disability unblockers? Mobile operator Digicel has started blocking advertisements on its networks in the Caribbean as part of a plan to force internet companies including Google, Yahoo and Facebook to pay to access its customers. The company is controlled by Denis O’Brien, Ireland’s richest man, and is the first mobile operator to deploy the blocking technology against big Silicon Valley groups that rely on advertising. Digicel suggested that if those companies want to unblock their ads, they should contribute to the costs of the mobile telecoms infrastructure required to deliver them. This feels wrong – if the countries where it’s done have any sort of view on net neutrality, they would have to intervene over this. Samsung Pay is just as easy to use as Apple Pay and Android Pay—you don’t have to dig deep into your phone or type any long passwords. To launch it, even when your phone screen is dark, flick up from the bottom and place your finger on the fingerprint reader. It did, but the US is still stuck somewhere in the 20th century when it comes to banks, cards and payments. (Among other things.) 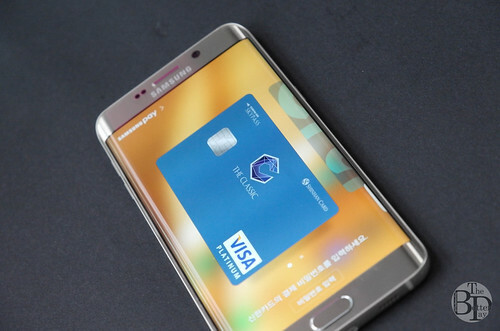 Samsung’s hybrid solution, which works with terribly insecure swipe card readers, but securely as Apple or Android Pay, is a good in-between. The US is meant to be implementing chip/sign (it was too cowardly to do chip/PIN) from October; let’s see how that goes. In a nutshell, the fastest known Android device available today – and there are millions of Android devices much slower than that out there – performs 5× slower than a new iPhone 6s, and a little worse than a 2012 era iPhone 5 in Ember. How depressing. Attwood’s suggestions include just focussing on iOS users. A native Android app is too time-consuming/expensive, and the problem he’s seeing with Discourse-based sites running slowly comes despite sending only half as much page content to Android phones compared to iOS. Lots of frustration expressed by others in the comments too. Though as one says, if you’ve never tried the other OS, you’ll never know (or care) what you’re missing – good or bad. Sources in the supply chain have revealed to IndiaToday.in that the delay is more to due to lack of interest in Apple’s channel partners in India. They aren’t convinced about the product and no one is willing to take on a massive inventory for a product, which belongs to a category that’s not yet developed in India. As per the IDC, Apple has shipped 3.6m units of the Apple Watch in the last quarter trailing only FitBit which shipped 4.4m units. IDC estimates that the Cupertino-based company will ship around 22 million units of the product in the calendar. Apple is tailed by Chinese start-up Xiaomi, which shipped 3.1m units of its Mi Band. The wearable market is expected to be the next growth category for technology companies. 72.2m wearables will be shipped in 2015, estimates IDC, which will be massive 173% jump over 26.4m units in 2014. Apple faces stiff competition from Android Wear based wearables which after a recent update also work with the iPhone. In India, the wearable market hasn’t taken off. So that’s stiff competition from products in a market that hasn’t taken off? Looking at new features like 3D Touch, Live Photos, and better cameras, one can observe how easily acceptable and desirable they are to those who first see them. As were Siri, FaceTime, Touch ID and iCloud, making something meaningfully better is a sign of sustaining innovation which does not over-serve. Paradoxically, the improvements are not usually things that users ask for. Surveys always show that consumers want “better battery life” or a “bigger screen” but delivering something else entirely which nevertheless leads to mass adoption shows an uncanny insight into what really matters. Indeed, those who deliver only what customers ask for end up marginalized and bereft of profit. To see improvements which lead to ever-increasing success in the marketplace year after year proves that this is not a transient event. This is no flash-in-the pan. This is not a stroke of genius. This is a process, a factory, a machine. The consistency and relentlessness of success is evidence of something at work that is more permanent. There are lots of OEMs which offer better battery life than the iPhone (Apple rolled the potential into the iOS 9 software update) and have offered bigger screens for longer than Apple has. And there are OEMs which have offered new functions, yet not integrated into an overarching view of how the device will function now and in the future. There will be more Google Chromebooks in American classrooms by the end of the year than all other devices combined, Google said today at a company event in San Francisco. The figure is a striking indication of how quickly, and thoroughly, Google has come to dominate the massive education technology market. In 2012, Chromebooks made up just 1% of devices in American schools; iPads had a more than 50% market share. But by 2014, according to market research firm IDC, Chromebooks were outselling iPads in education. About 30,000 Chromebooks have been activated every day since the beginning of the school year this September, mostly in schools, Google CEO Sundar Pichai said at the event. In schools, “by the end of this year, there will be more Chromebooks than every other device combined,” Pichai said. Chromebooks were able to overtake iPads in education because they’re far cheaper — sometimes under $200 — have keyboards, and don’t require additional software because they only run Google’s Chrome browser. If Pichai is correct (note: don’t rely on Google to give correct information in public statements) then a hell of a lot of Windows PCs must have been junked, along with a ton of iPads and Macs. I’m dubious. In 2008, there were 15.4m PCs in schools, rising by about 1m every year. In August, the NYT Bits blog said 13.2m systems were shipped in 2014, up 33% on 2013, with Chromebooks making up about a third of them. On that basis, unless every school is dumping their Windows PCs and iPads for Chromebooks since August, I don’t see how Chromebooks will make up more than 50% of the installed base by January. They might be over 50% of the ongoing sales, though. That’s not to say they aren’t perfect for schools; only that installed base and sales (market) share are two very different things. This entry was posted in links and tagged adblocking, apple, chromebook, patents, samsung, socialnetworks, watch by charlesarthur. Bookmark the permalink.